the green cover for my pouf is finished and it’s name is lettuce. the cover is done fairly quickly, although i have used thin yarn. the color of the pouf itself is somewhat visible, but i think that is fine because it is a light natural color. 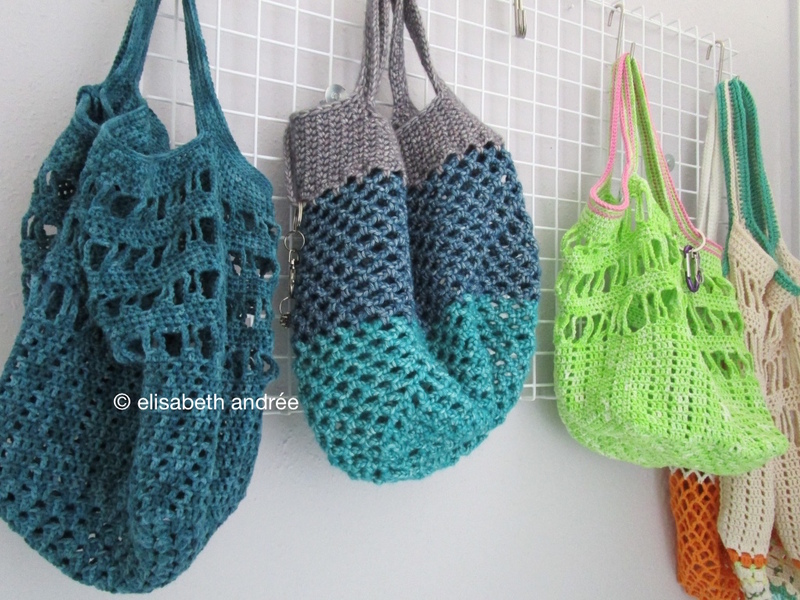 i have used six balls katia new cancun, each of 100 grams and crochet hook size 4.5 cm. the yarn i used is not very suitable for a pouf cover, because it is a little thin and not very strong, but i like the color and i am happy with the result. i have no pattern for you, but maybe you think my notes are useful and below this blogpost there are some links. starting point is the center of the square for the sunny spread by ellen k. gormley that for years has been a favorite of mine (link below). the increase is in the stitch where you crochet the fpdc, because you first crochet a dc and then a fpdc in the same stitch. while crocheting the top part of my cover i continued to increase the number of stitches, only occasionally i did not to prevent the cover would go wavy. the last row of the top, i have not increased but decreased by doing this: pull up a loop in the last stitch just before the fpdc, in the fpdc and in the first stitch after the fpdc, then yarn over and pull it through the first three loops on hook, then finish the stitch as a fpdc. it is complicated to write and to read, i think trying is better to make it more clear. the side of the cover are only double crochets and the lower part with the ribbing i made by alternately crochet a dc and a fpdc. then three rows of half double crochets followed by three rows of slip stitches. 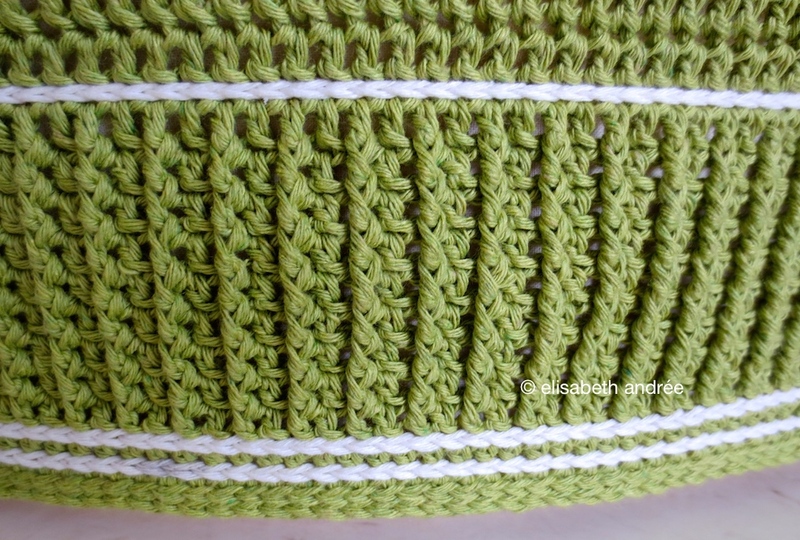 the white decorative stitches is surface crochet. if you like to try this technique, below is a link to a tutorial. if you have not previously made ​​a fpdc, here is a link to a tutorial with video. hope the links are useful to you! this is my last blogpost for this week. Categories: crochet | Tags: crochet stitches, cushion, cushion cover, floor cushion, green, pouf, pouf cover | Permalink. how are you? of course i hope it goes very well with you! today i like to show what projects i’ve been working on the past few days. … and then started making ribbing with the same type of yarn, but in a lemon yellow color. 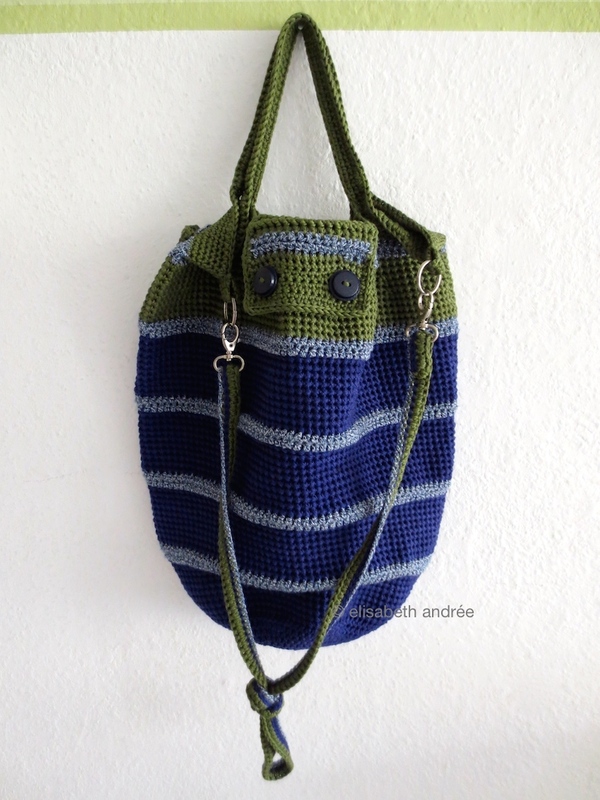 a short while ago i had finished this bag, for which i only have to make a liner. although i am not using/wearing blue very often, i do love the look of this bag and how it feels and i like to keep it for myself. the past few days were sunny and warm, i enjoyed that, but crocheting got a little slower and therefore the pouf is waiting for the last rows of crochet stitches. hope you will enjoy today and the rest of the week. UPDATE: joining tamis ami’s WIP wednesday, hope you will take a look! 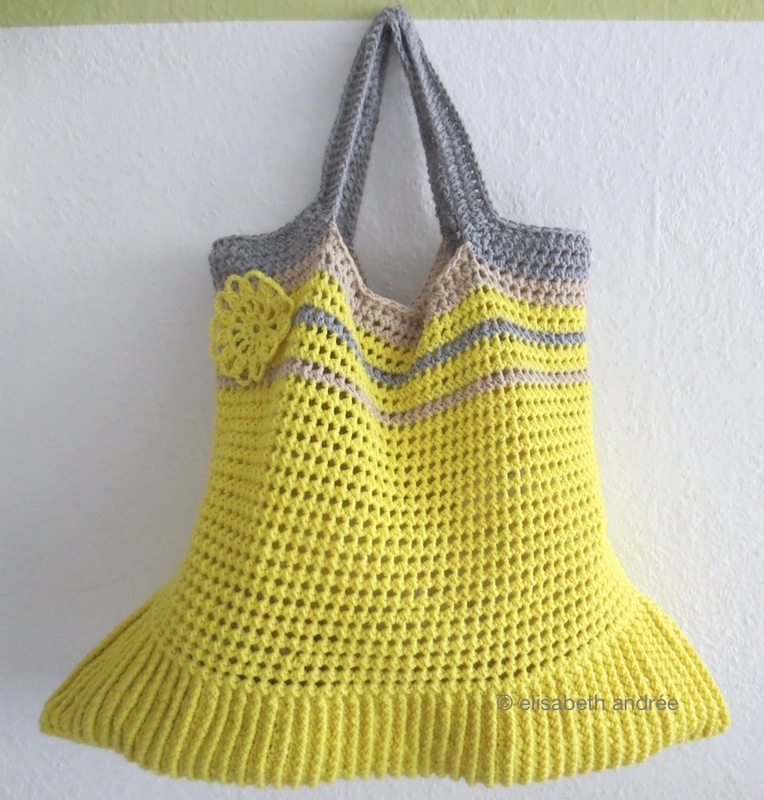 Categories: crochet, wip | Tags: bag, green, handbag, pouf, shopper, yellow | Permalink. before i got sick i had started a new cushion cover and now it is finished. 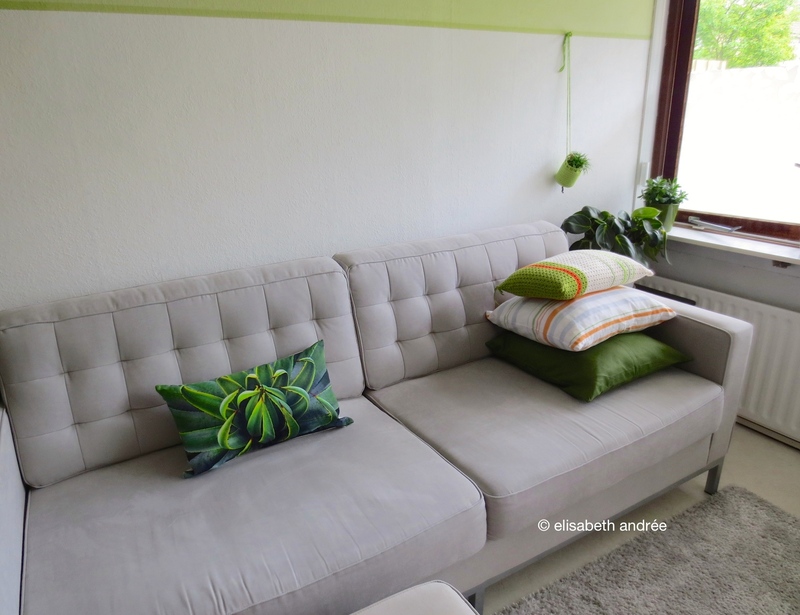 my living room is getting more cozy with some new plants and pots and several shades of green. i love green! the cover on the left and the green one i bought at H & M, the white cover with orange, blue and green stripes i made somewhere in the ’90th of 2 Habitat dishcloths. the cover i crocheted with a yarn that i bought a few weeks ago on the local market, katia new cancun in off-white and green, the stripes are catania cotton. 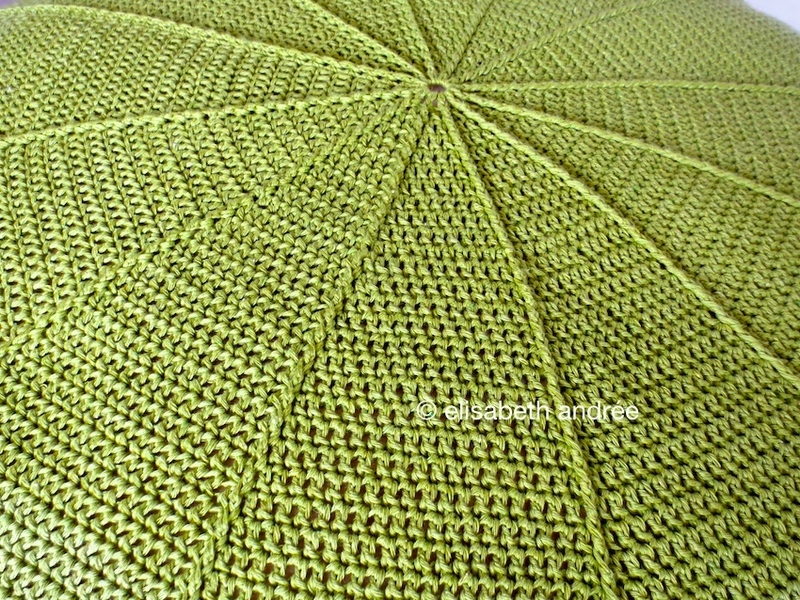 the stitch pattern is number 28 on page 53 of this crochet stitch book, but it is very similar to the stitch pattern of this blanket, link to stitch pattern on this page. after a few years with only a few plants in my apartment i now have more (again). do you like to have plants in your home? also i am back at my favorite color combination of green, white, black with occasional a dab of a different color. are you changing (back) the colors in living space(s)? it makes me feel good to have the colors around me that i most love. hope you will have a great weekend! 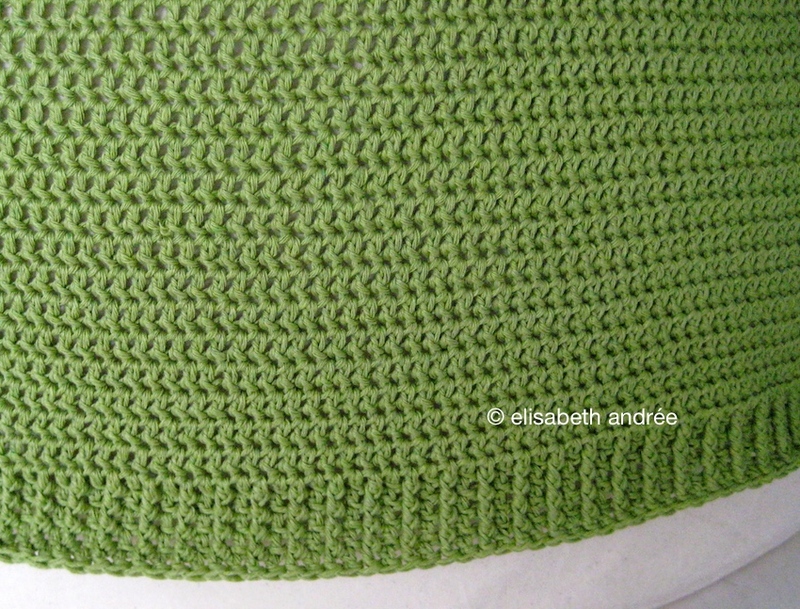 Categories: crochet | Tags: book, cushion cover, green, stitch pattern | Permalink.